Ever since the nomads in the Middle East began weaving the first knotted rugs back around 400 B.C. the technique, principles and the materials used have not changed very much. The most common materials used for weaving oriental rugs were and still are goat and sheep wool, silk or cotton. The quality of the wool used for making these unique carpets depends on the diet and breed of the sheep or goats. Have you thought of the fire hazards of your sofas and upholstered furniture at home? For the sake of your safety, and to make sure that their upholstered furniture is made according to all flammability standards and regulations, more upholstery manufacturers and retailers are getting familiarized with these requirements and certified for compliance with them. The annual Birmingham furniture show held at the end of January this year included some of the latest and new lifestyle fads and choices for all kinds of furniture for the home. 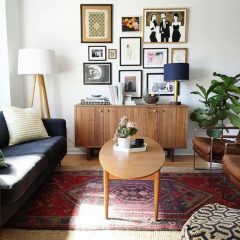 We know it’s been six months until then but in this post, we’re going to share with you some furniture tendencies from the show. And, don’t forget that summer is the best season to upgrade your home. It is probably everyone’s dream to create the perfect living space in their homes. Usually, this requires hiring the quite expensive services of a professional interior designer. But, there are some ways to improve your living space without spending a huge amount of money. You can use the colours you love and some pretty upholstery fabrics and patterns which will add a special and chicer look to your living room and at the same time endure the wear and tear which occurs due to daily use and improper maintenance. Oriental carpets are a classic element of the interior of the majority of homes, offices and public administration buildings today. But it is interesting to find out when the tradition of making and using these unique carpets and rugs first began. 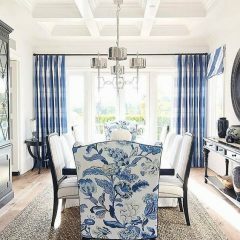 If you are into chairs and want to find the perfect set of chairs for any room in your home, there are several useful tips you may want to follow. Here they are, and hopefully, they will make your choice easier.